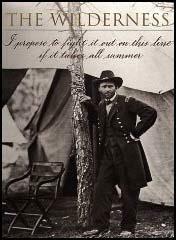 In March, 1864, Ulysses S. Grant was named lieutenant general and the commander of the Union Army. He joined the Army of the Potomac where he worked closely with George Meade and Philip Sheridan. In may Grant led the 118,000 strong army across the Rapidan and entered the Wilderness, a wild and tangled woodland 10 miles (16 km) west of Fredericksburg. When Robert E. Lee heard the news he sent in his troops, hoping that the Union's superior artillery and cavalry would be offset by the heavy underbrush of the Wilderness. Fighting began on the 5th May and two days later smoldering paper cartridges set fire to dry leaves and around 200 wounded men were either suffocated or burned to death. The bloodiest fighting of the battle took place on 12th May when Ulysses S. Grant ordered the Army of the Potomac to attack the Confederate Army at Bloody Angle. The Union Army lost 7,000 men in a few hours and is considered to be the most men killed during such a short period in the war. After several days of trench fighting Grant withdrew and crossed the James River and headed for Petersburg. Of the 88,892 men that Grant took into the Wilderness, 14,283 were casualties and 3,383 were reported missing. Robert E. Lee lost 7,750 men during the fighting. During the first day's fighting in the Wilderness, I saw a youth of about twenty years skip and yell, stung by a bullet through his thigh. He turned to limp to the rear. After he had gone a few steps he stopped, then he kicked out his leg once or twice to see if it would work. Then he tore the clothing away from his leg so as to see the wound. He looked at it attentively for an instant, and kicked out his leg again, then turned and took his place in the ranks and resumed firing. There was considerable disorder in the line, and the soldiers moved to and fro - now a few feet to the right, now a few feet to the left. One of these movements brought me directly behind this wounded soldier. I could see plainly from that position, and I pushed into the gaping line and began firing. In a minute or two the wounded soldier dropped his rifle and, clasping his left arm, exclaimed: "I am hit again!" He sat down behind the battle ranks and tore off the sleeve of his shirt. The wound was very slight - not much more than skin-deep. He tied his handkerchief around it, picked up his rifle, and took position alongside of me. I said: "You are fighting in bad luck today. You had better get away from here." He turned his head to answer me. His head jerked, he staggered, then fell, then regained his feet. A tiny fountain of blood and teeth and bone and bits of tongue burst out of his mouth. He had been shot through the jaws; the lower one was broken and hung down. I looked directly into his open mouth, which was ragged and bloody and tongueless. He cast cast his rifle furiously on the ground and staggered off. The first important engagement that year was the battle of the Wilderness, lasting three days, an undecisive but most desperate engagement. It was fought in a thick forest of underbrush, where it was almost impossible to manoeuver an army or to see the enemy until the lines were within a few yards of each other. We could only keep up a general alignment. Yet it was fought with great tenacity on both sides, and the losses were very heavy - about eighteen thousand on the Union side and eight thousand on the Confederate side. It was difficult to use artillery, and, to add to the appalling terrors, the forest took fire, and many of the men's clothes were burned while they were fighting, and thousands of the wounded were burned to death. In that desperate encounter the men fought during the day and rested on their arms during the night, neither army being able to dislodge the opponent, and both, during the lull in the fight or under cover of night, constructed lines of intrenchments. (3) Carl Schurz wrote about the relative merits of Ulysses S. Grant, William Sherman and Robert E. Lee in his autobiography published in 1906. In the opinion of many competent persons, he was the ablest commander of them all. I remember a remarkable utterance of his when we were speaking of Grant's campaign. "There was a difference," Sherman said, "between Grant's and my way of looking at things. Grant never cared a damn about what was going on behind the enemy's lines, but it often scared me like the devil." He admitted, and justly so, that some of Grant's successes were owing to this very fact, but also some of his most conspicuous failures. Grant believed in hammering - Sherman in maneuvering. It had been the habit of the generals commanding the Army of the Potomac to cross the Rappahannock, to get their drubbing from Lee, and then promptly to retreat and recross the Rappahannock again in retreat. He sturdily went on, hammering and hammering, and, with his vastly superior resources, finally hammered Lee's army to pieces, but with a most dreadful sacrifice of life on his own part. 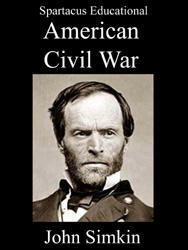 Now, comparing Grant's campaign for the taking of Richmond with Sherman's campaign for the taking of Atlanta - without losing sight of any of the differences of their respective situations - we may well arrive at the conclusion that Sherman was the superior strategist and the greater general.